I have decided to open a second Etsy shop! I will showcase my handmade teddy bears and related vintage treasures in the Old Soul Bears shop. I have listed several items already and hope to have a few dozen items available by the end of the week. 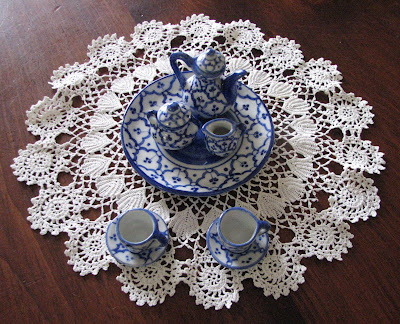 This sweet little tea set would look great with your dolls or teddy bears. 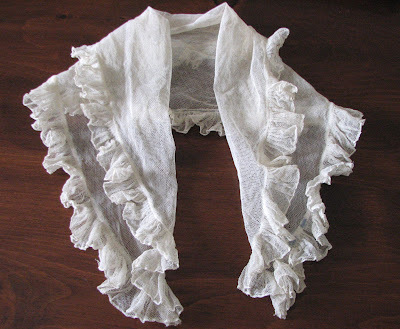 I will have lace in both shops . 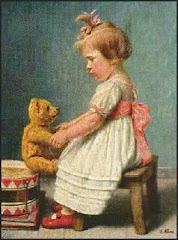 . . and will focus on vintage doll/bear size clothing and collars in the new shop. 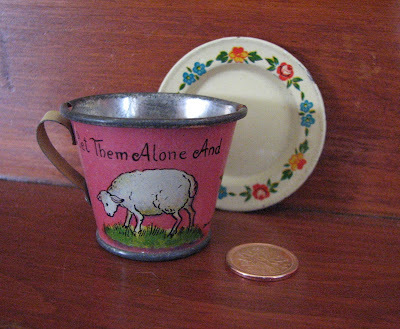 This little tin must be close to 100 years old. Is says "Leave them alone" on one side and "They'll come home" on the other side. Very cute ! I have also added a new Bridal section to my Cider Antiques Shop. Lots more to list there too! Oh Karen, your items are so adorable. I love the little tea set. How fun it must be to have the Etsy shops. Congratulations! you are such a busy lady! Hope all goes well for you/ Take Care.